Time of the month again round these parts folks... and no this is not me over sharing but rather an introduction (or a gentle reminder to those seasoned reader) to the 20th of each month where The Cake Slice Bakers and I pick a recipe from a choice of 4, from our latest book to bake and share with you all. This month we are still hopping through World Class Cakes by Roger Pizney and I have to say I am loving it. Dietary restrictions dictated the recipe this month, but what I found was that the Devil's Food Cake (pg 44) I did decide to bake up, lent itself beautifully to a dairy free option. A very good friend of mine has a son with severe dairy allergies and I always want to come up with variations for him.. I figured I would give this a go in his honour and boy, was I delighted with the outcome. I did not follow the direction for the frosting that accompanied the cake batter recipe. While I have no doubts that the frosting was delicious, I couldn't in good conscience use half a dozen egg yolks in a single frosting. January is always the month we tighten up and start our new year budget.. and the budget didn't stretch to six egg yolks going into ONE frosting. Another time maybe, but not this month I'm afraid. 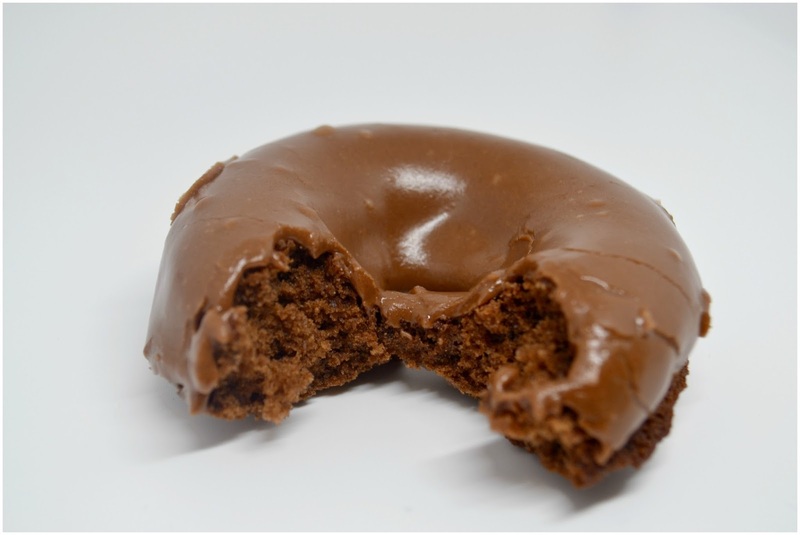 I adapted an espresso glaze to suit the dairy free conditions of the bake, and bobs your uncle.. these donuts were born. They are also part of my "baking on a budget" notions, with all ingredients bought in Aldi and proof, again, that name brand ingredients can bake a perfectly perfect bake! Preheat your oven to 350F, 180C/160C fan, or Gas mark 4. Spray a 12 or 6 cavity donut pan with baking release spray and set to one side. Mix the cocoa powder with the hot water and leave to cool. Cream the sugar with the oil and add the eggs followed by the vanilla. Mix together, scraping down the sides of the bowl as you go. Slowly add the milk to the cocoa/water and mix until combined. 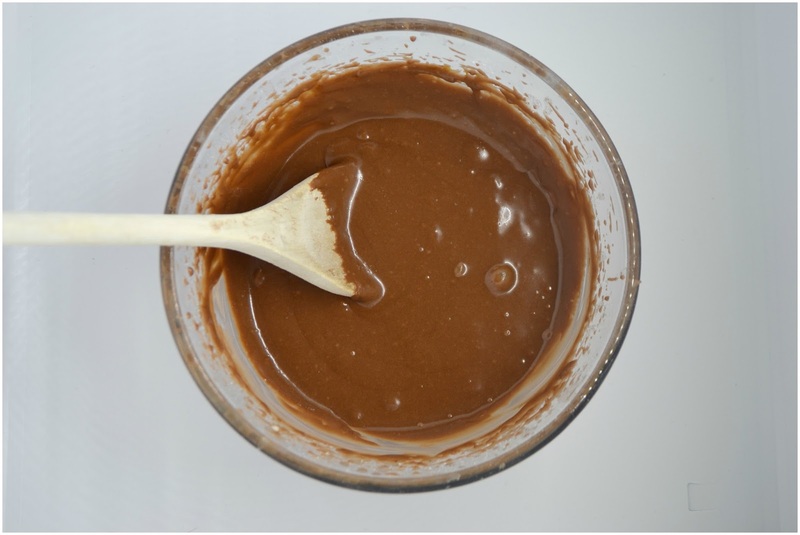 Alternating between the flour and the cocoa powder, mix the two into the egg and oil mixture until fully combined. 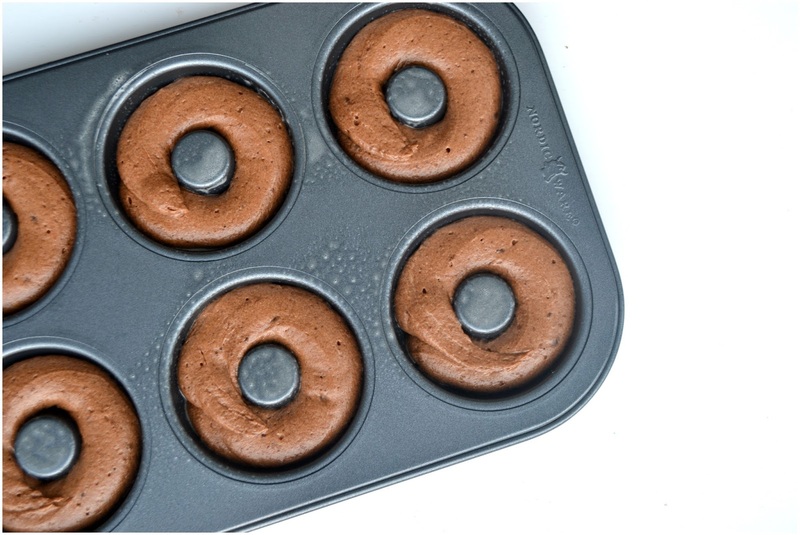 Transfer the batter to a piping bag and pipe circles into your donut pan, until 2/3 full. Pop in the oven for 10-12 minutes. Remove from the oven, leave to cool in the pan for a few minutes before popping out onto a wire rack to cool completely. In a heat proof bowl melt the chocolate and the coconut oil. Add the icing sugar and coffee and using an electric mixer, whisk until combined to a shiny glaze. 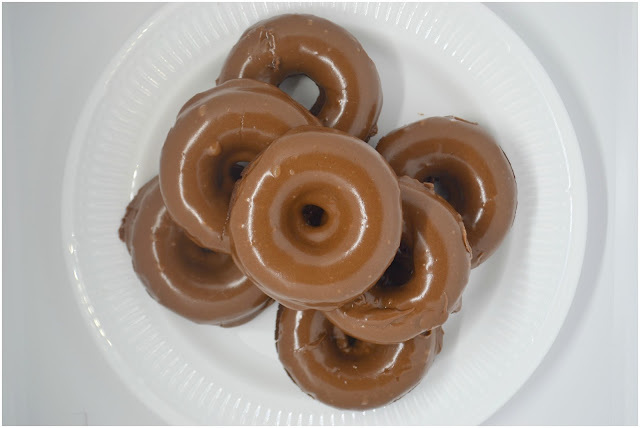 Once the donuts are cooled, dip in each one to totally glaze over the top of your donut. Leave to dry for a few minutes on a wire rack. I absolutely adore how these turned out.. I am so delighted that the cake recipe adapted so nicely to suit a dairy allergy and I have another recipe to add to my allergens list! The things you learn with The Cake Slice Bakers! I didn't fancy the Devil's Food cake but your version looks and sounds rather appealing! 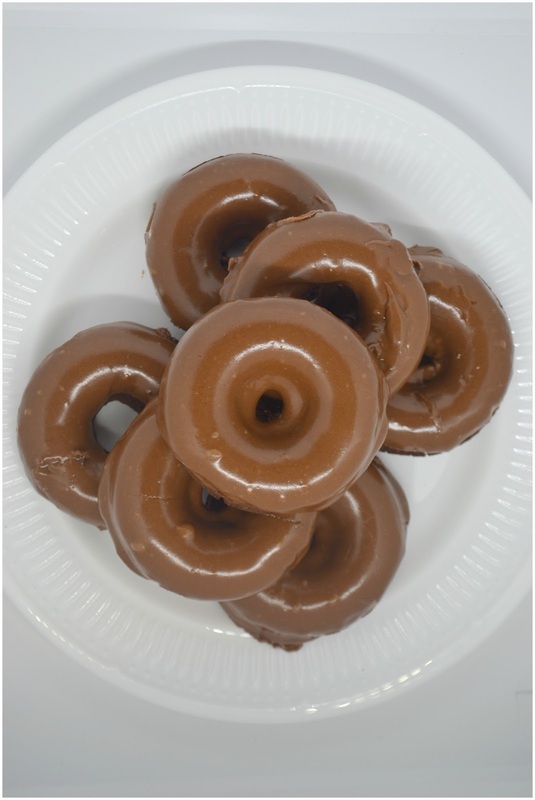 Love your donut version of the DFC, was tempted but choose an easier recipe! Going to steal (er, borrow?) your version since I have to bake dairy free for myself. Love the glaze, too. I think I need a donut pan! Mmmmmm! I'd love one or two of those donuts! What a fun way to make the cake. Hazel these look mouth watering! I'm right with you on budgeting! We have to save a few pennies every now and then to have splurges later on! Happy baking! These look delicious! What a clever idea to turn these into look-alike donut! They look really chocolaty delicious! That is so nice that you made it to suit your friend's son's needs. They turned out lovely. Yum! Definitely will need to dig back into the closet to find out donut pan. I love that you are baking for your friends son, and adapting recipes so that he can enjoy yummy treats too. 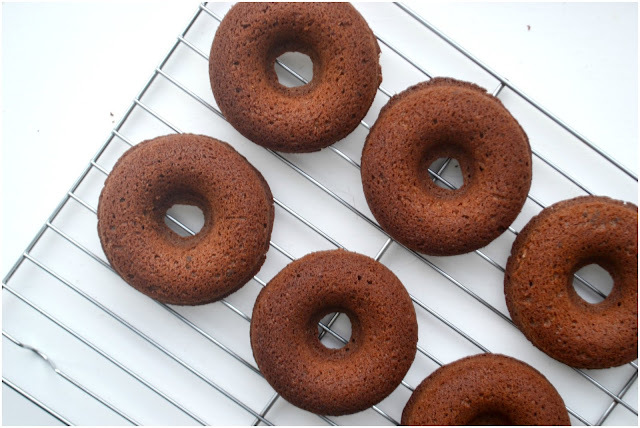 Your donuts look amazing, and remind me that I really need to dig out my donut pan and get some use out of it.